New Belgium Brewing, like any other cutting edge craft beer maker, isn’t afraid to take risks to create new and exciting beers. Their Lips Of Faith Series of beers have forged new territory, with both good and not-so-good results, depending on whom you ask. 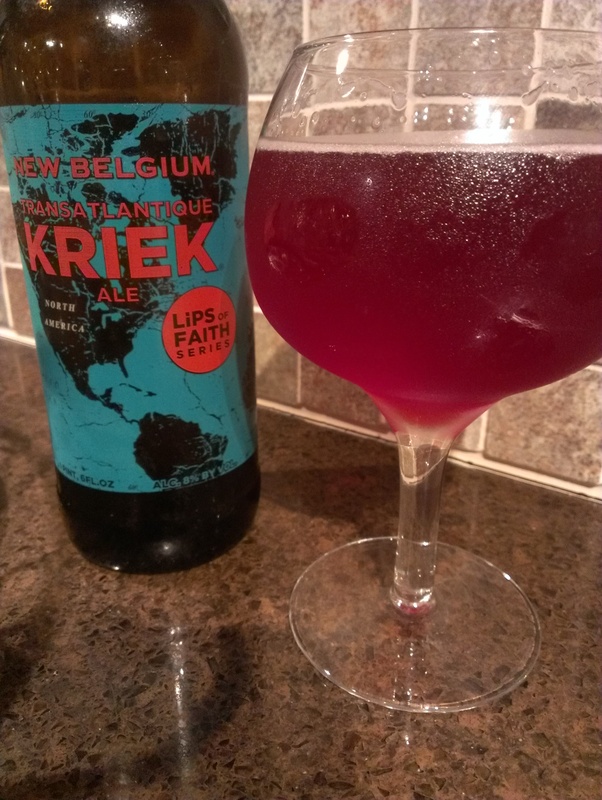 They teamed up with Brewerij Boon of Belgium to create Transatlantique Kriek, an ale they call, “a spontaneously fermented Lambic Ale” made with Polish cherries. 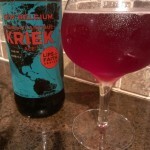 Bright red in color and a dead ringer for a Lambic (think of Raspberry 7-Up but slightly darker), the Kriek is equally effervescent and pours clean into the glass, never really achieving a foamy head. Then the welcoming gurgling subsides and there is the unmistakable (yet pleasant) cherry aroma. It’s like smelling Sweet Tarts in liquid form. The taste, as you would expect, is crisp and clean (that would be New Belgium’s golden lager tempering the sour cherry) and has a sweet mouth feel. The cherry tartness never lingers and produces a satisfying finish. This is a great summer sipper that’s worth trying. 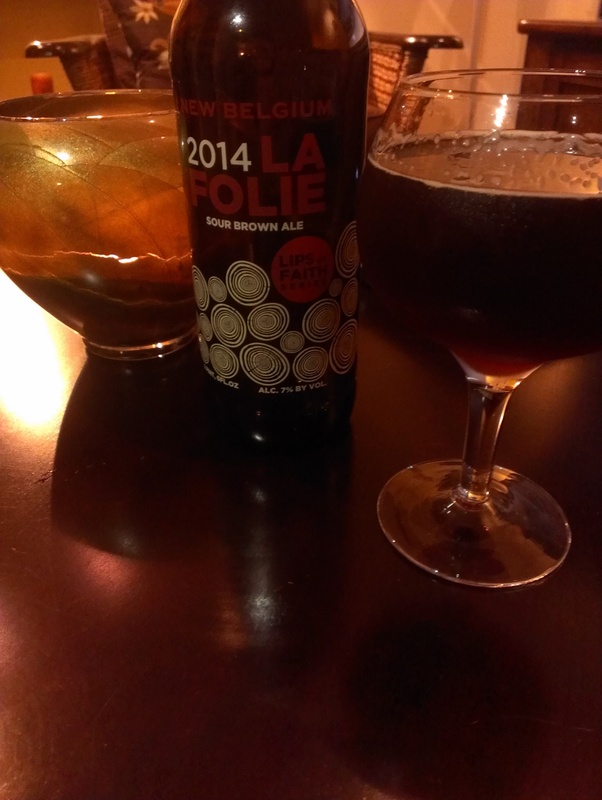 The next Lips Of Faith Series ale we tried in a fortnight was the La Folie, which is French for “The folly.” This latest New Belgium creation is a sour brown ale that’s aged for one to three years in large, oak barrels called foeders, creating a deep mahogany ale. I’ll admit I have been hesitant to drink sour ales, farmhouse or otherwise, for some time. 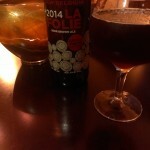 La Folie, however, changed my mind, and will do the same for you – if you give it a chance. The sourness hits you right away on the opening sip, but once the assault on your taste buds subsides, things begin to mellow as the complex flavor profile begins to take shape. I noticed strong hints of sweet fig and plum, plus some green apple thrown in just to remind you that you’re drinking a sour ale. Let this sit at room temperature for about 15 minutes before serving; allow the ingredients some time to “stretch their legs” before enjoying this great new addition to New Belgium’s Lips Of Faith Series. Cheers! Tags: Lips of Faith, New Belgium.